America began integrating hookah into its social scene in the early 2000s. Approximately 200 to 300 hookah bars opened for business in the U.S. from 2000 to 2004, according to the Smokeshop journal. Unlike cigarettes, hookah has a relatively positive reputation, which caused its popularity to skyrocket among young adults. I have many friends who proclaim their disgust for cigarettes, yet these same friends do not hesitate to blow some smoke rings from a hookah. Investigations have shown the consequences of hookah may not stray far from those of its more notorious counterpart. Studies by the World Health Organization show that smoking hookah can be worse for your health than cigarettes — a hard fact to swallow for those deceived by the fun and laid-back atmosphere associated with hookah. Upon questioning a few of my friends about their reasons for smoking hookah, I found out that many believed smoking hookah was safer than smoking cigarettes. First of all, this is not a reason — this is a comparison. I don’t justify my giving blood on the basis that it hurts less than giving bone marrow. Secondly, this far too common comparison is a false one. According to a study by the World Health Organization, a person can inhale 100 times more smoke from an hour-long hookah session than from a single cigarette.Though hookah smoke may feel smoother than cigarette smoke, it is just as harsh on the lungs. Kimber Richter, associate professor of preventive medicine at the University of Kansas, said in an article on kansan.com that the water doesn’t filter out chemicals and heavy metals: It only cools the smoke. I’ll admit that the smell of a hookah session can be quite calming and aromatic — I have smelled quality brands of shisha tobacco that give air fresheners a run for their money. However, this pleasant aroma masks the imminent danger of second-hand hookah smoke. Since the odor still contains tobacco smoke, it exposes people to the same harmful chemicals found in cigarette smoke, such as hydrogen cyanide, nicotine, and ammonia. 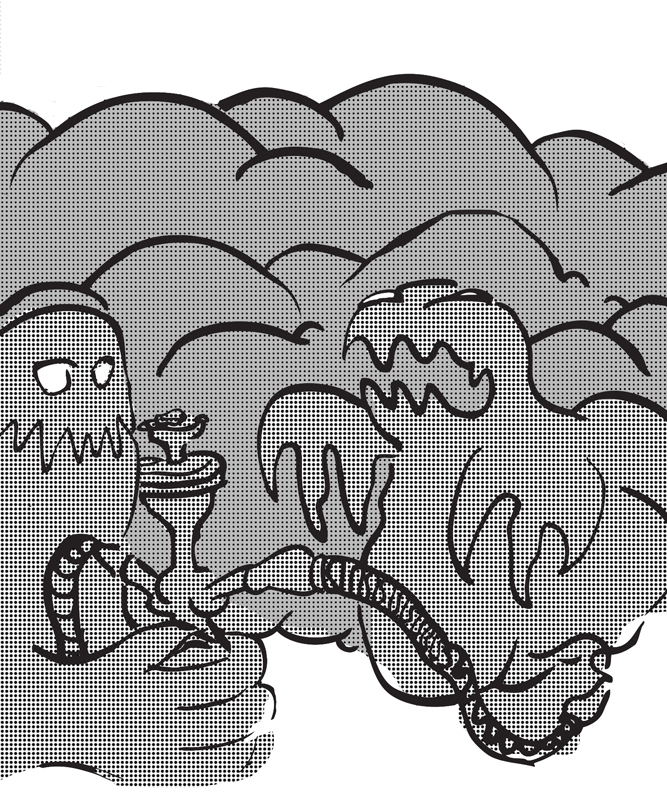 In fact, hookah smoke can be even worse than cigarette smoke. The burning of charcoal used to produce the smoke adds 143 grams of carbon monoxide per gram of shisha — 11 times the amount found in one cigarette — according to a study by the Tobacco-Related Disease Research Program. Keep in mind that an hour-long session requires about 15 grams of shisha. The same study reported that hookah smoke also contains higher levels of lead, nickel, and arsenic than cigarettes, as well as 36 times more tar. It shouldn’t come as a surprise that hookah smoking can lead to heart disease, respiratory disease, and oral cancers. The harms of hookah have remained under the radar for far too long. Don’t get me wrong — I couldn’t care less about what people choose to smoke, drink, eat, wear, or watch. What bothers me are faulty reasoning and beliefs behind a person’s actions. If people are well aware of the actual effects of their smoking, then I will respect their educated decision. But it is disheartening when someone smokes hookah with a false understanding of its consequences. This smoker is either a victim of society’s ignorance or in denial. In either situation, the truth needs to be acknowledged. The best thing I can hope my cigarette-hating, shisha-smoking friends receive is enlightenment. Perhaps it was the onset of research that led policymakers to implement hookah bans throughout the U.S.
All of my friends owe it to themselves — and their bodies — to know the myths and facts of smoking hookah. If they choose to continue smoking, I can only hope they will bask in the fruity fragrance and relaxing effects of hookah without the air of ignorance.